AFGHANISTAN–General John Allen, head of U.S. military operations in Afghanistan, confirmed today that the Blue Angels are indeed to blame for a series of horrific, crowd-pleasing attacks on civilians in Afghanistan’s Korangal Valley. 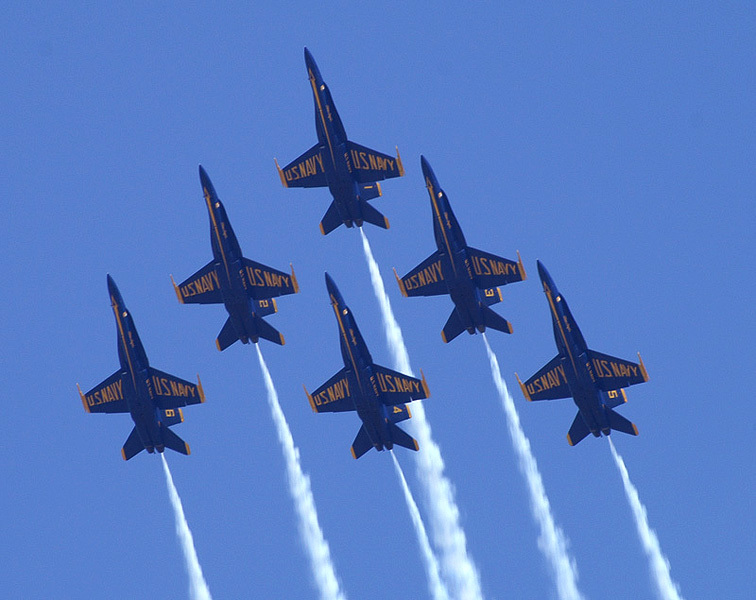 The Blue Angels, known for their feats of synchronized, aerial acrobatics, have been performing at air shows and Super Bowls since their formation in the mid 1960s. While the stunt-flying regiment has traditionally been utilized for public relations and recruiting efforts, recent enlistment declines have resulted in the Angels being called up to front-line duty. According to internal Department of Defense cables, the Blue Angels went rogue last week, performing a quadruple barrel-roll in perfect unison before gunning down a wedding party of Afghan civilians. On the plus side, the Blue Angels waived their hefty appearance fee when destroying this primary school. The sight of smoldering buildings and loop-de-loop jet streams—tell-tale signs of an Angels attack—has become all too common in the Afghan landscape. According to Blue Angels wing-commander Tom Conrad, the massacre’s grand-finale will be Thursday at a funeral for the squadron’s previous victims.